Car Donation Seattle | Kars4Kids - Donate Your Car Today! You've come to the right place – our Kars4Kids crew in Seattle can pick up virtually any car donation, regardless of condition, and usually without a title too. This is your last step. My car is located at this address. My cell number may be used to text me updates. I’d like to go paperless. Send me my receipt faster via email only. The vacation voucher is not available in the state of Oregon. Within 2-4 weeks you receive a tax receipt and vacation voucher . Here’s what our Seattle donors had to say about how donating went for them. 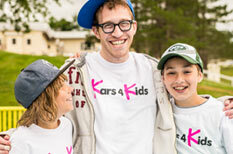 I loved Kars4Kids the tow truck driver was amazing and the people on the phone were very sweet and understanding!~! I had a great experience with this organization. The pick up of my donated truck was simple, and a tax form followed a few weeks after the sale of the truck. I have yet to use the vacation package, but plan on it very soon. Hopefully someone is ge. . .
Nice, smooth transaction. Tow truck came and got the car and I was given a receipt for the pickup. Shortly after that, I received the certificate to use with my taxes for my donation. Later, while filing my taxes, I couldn't find the r. . .
Our vision at Kars4Kids is to enable our children to succeed throughout life. We achieve this goal through a gamut of educational, mentorship and year-round programs for our children and their families and communities. With a network of thousands of volunteers, we strive to change the world, one child at a time. Our mentoring program pairs children with mature mentors who are a positive influence, a role model, and a friend for life. The one-on-one relationship allows our mentors to give their mentees the personal guidance they need to grow into productive and well-balanced members of the community. All children need some time outside of the structured school environment. 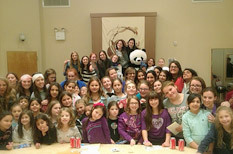 ChillZone provides a safe and healthy place for children and teens to hang out with friends and mentors. 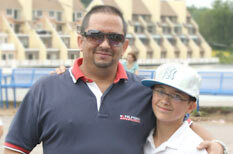 Fun combines with stimulating guidance and social growth for the perfect outlet our children (and their parents!) could ask for. Financial disclosure: Kars4Kids is exempt from tax under section 501(c)(3) of the Internal Revenue Code and qualifies for the maximum charitable contribution deduction by donors. Our Federal Identification Number is 22-374-6050. Financial information may be obtained directly from your state agency..